Are you looking for some awesome lawn care tips? It would be wise to go ahead and do a little lawn maintenance before summer hits. Spring is one of the best times to get some yard work done because it’s not too hot and the rain will help your grass to keep growing. 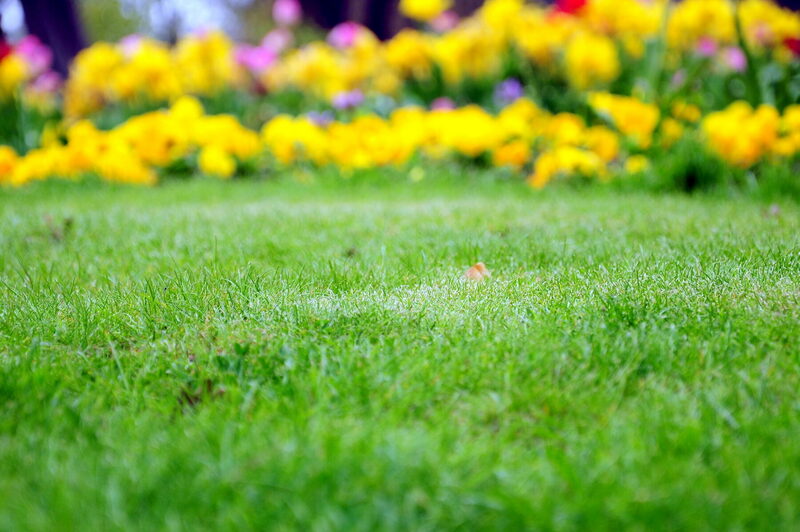 There are a lot of issues that your lawn may face this spring, so we’re here to give you some tips on how to care for your lawn. Are you ready to learn more? Let’s do it! One of the best things you can do to keep your lawn in top shape is to know where potential problems can arise. For example, an area that experiences a lot of traffic may have compacted soil. Compacted soil is a problem because it won’t allow your grass to get the hydration it needs to thrive, so take note. You may need to have these areas aerated to restore their health. You should also look for areas that might not be getting enough sun. These areas may not be thriving in the same way the rest of your lawn is. Maintenance is all about consistency. To keep your lawn in the best shape it can be in, you need to do two things regularly. You need to mow it and you need to water it. These two actions are essential. Proper lawn mowing comes down to what kind of grass you are dealing with. Mowing it down to 2in is considered best practice for most types of grass, but try to find out your type if you can. When it comes to watering, you may want to invest in a sprinkler system to ensure that you never miss a hydration opportunity. A sprinkler system will also give the correct amount of water to your lawn so that you don’t have to worry about that. Do you have more questions about caring for your lawn? We can help! This entry was posted on Sunday, June 7th, 2015	at 11:37 pm	and is filed under Lawn Tips	. You can follow any responses to this entry through the RSS 2.0	feed. Both comments and pings are currently closed.